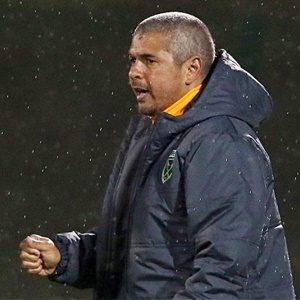 Cape Town - Golden Arrows coach Clinton Larsen defended his side's defensive approach on Tuesday, after Orlando Pirates counterpart Milutin Sredojevic accused him of 'parking the bus'. Despite trying to break down a visiting team that defended deeply in numbers, the Buccaneers were guilty of spurning a number of golden opportunities in the goalless draw at the Orlando Stadium. The result sees Arrows maintain their challenge behind leaders Baroka at the top of the standings, while Pirates are in sixth position. Speaking to Sowetan Live, Larsen said: "As a team you've got to assess your players and play to your strengths and playing on the break is a strength of Arrows. But we don't play this way every week and in this way every game. "We chose certain opponents that we want to play that way against because of tactical reasons. Pirates are one of those teams. Pirates are also good on the counter-attack and if you give them space to play behind they could hurt you. "So we neutralised that threat by playing with a low block and getting their wing back up higher‚ which then offered us the opportunity to exploit the spaces behind (Marc) Van Heerden and (Thabo) Matlaba."